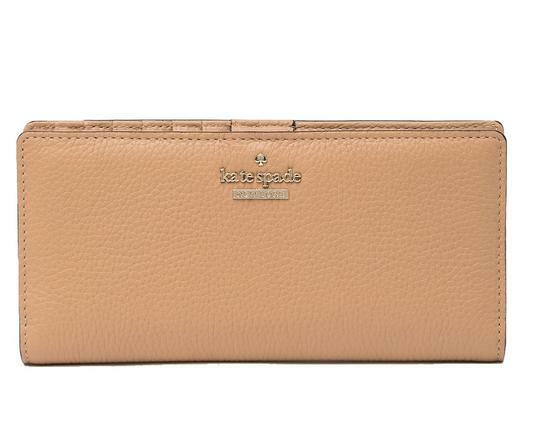 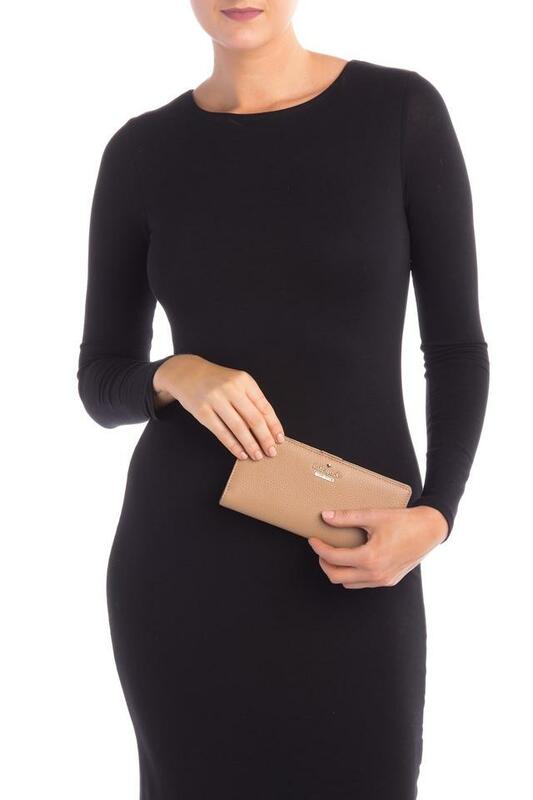 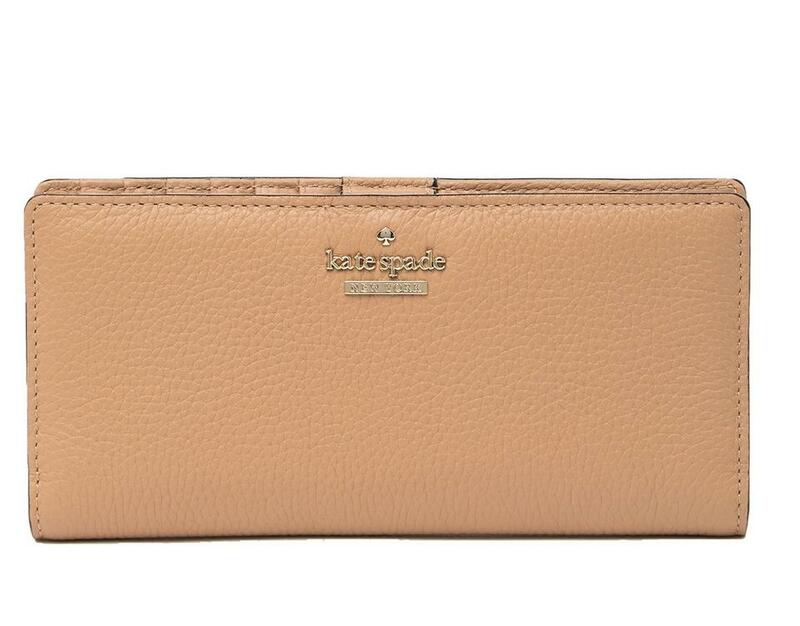 This smart pebbled-leather wallet from kate spade features so many card slots and pockets, you'll be fashionably organized in a New York minute. 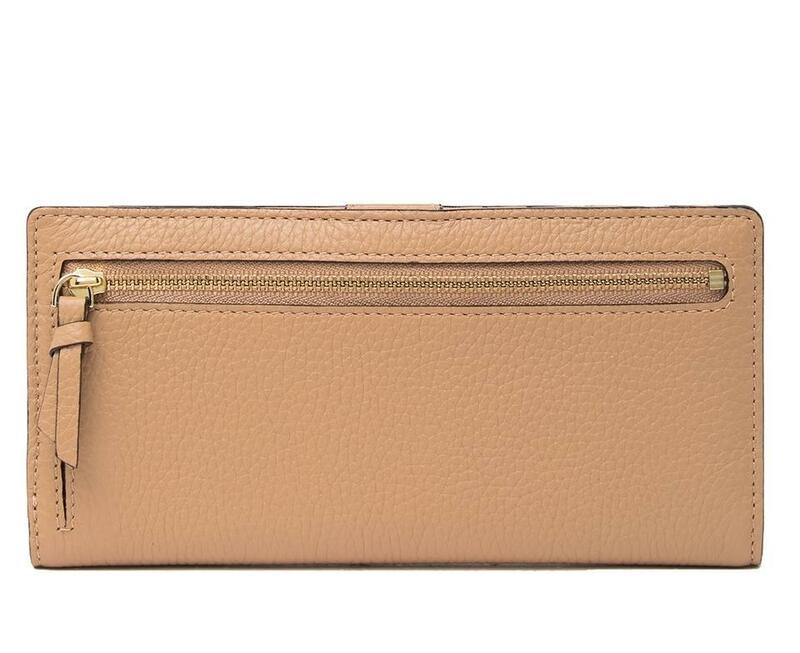 Foldover snap-tab closure. 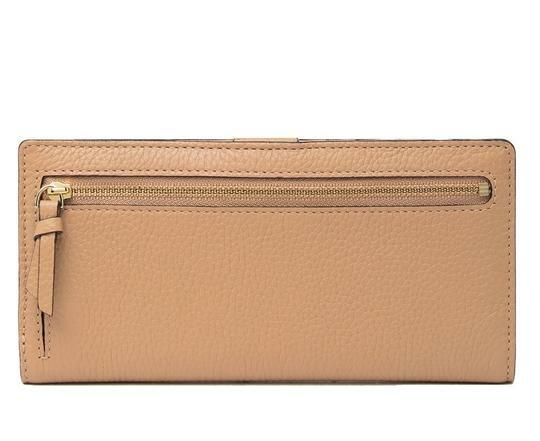 Exterior zip pocket. 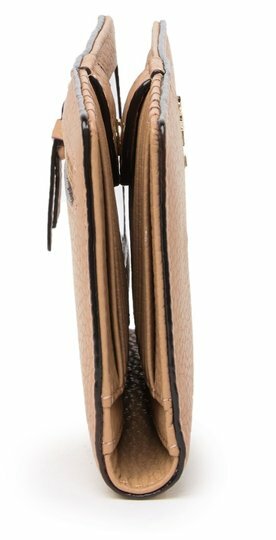 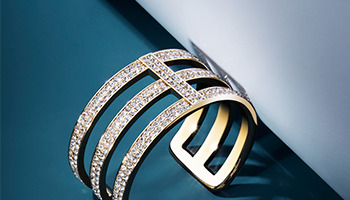 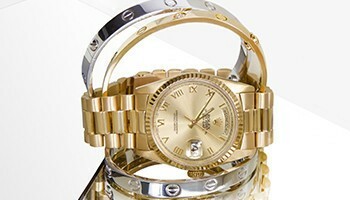 Exterior features 14k light gold-plated hardware. 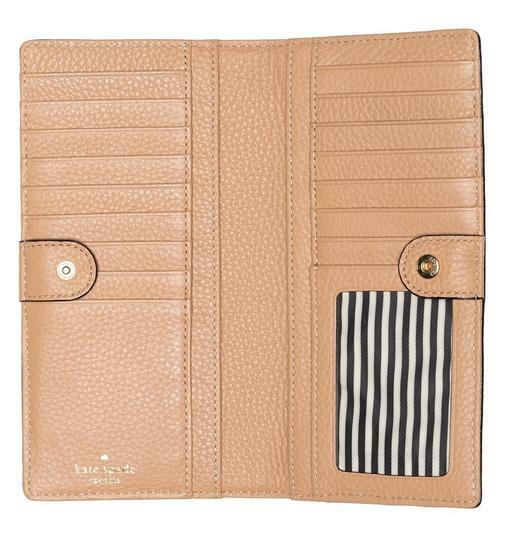 Interior features 16 credit card slots, 2 billfolds and an ID window. 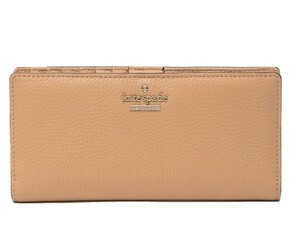 Large size wallet: 7.6"(L) x 4.1"(H) x 1.4"(W).